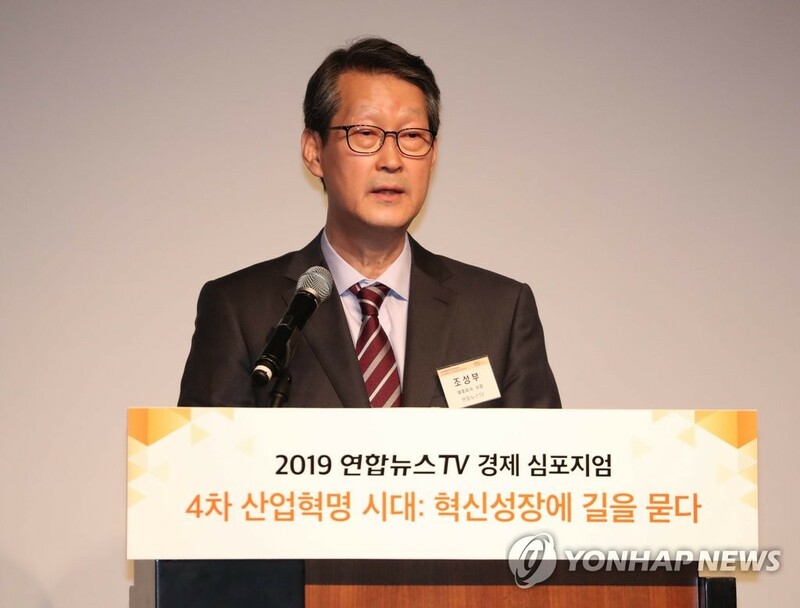 SEOUL, March 25 (Yonhap) -- Yonhap News TV on Monday hosted an economic symposium, featuring governmental officials and business experts to discuss on how the country should brace for the fourth industrial revolution and other imminent challenges. During the meeting, hosted by the sister broadcasting station of South Korea's No. 1 wire service Yonhap News Agency, Industry Minister Sung Yun-mo said state-run research and development projects should be more tolerant of failure, claiming the process also matters in terms of technologies. "While alchemists failed to make gold, they established grounds for chemistry studies and the process was fruitful," Sung said in a keynote speech. "Currently, the rate of success for state projects hovers around 80 to 90 percent. 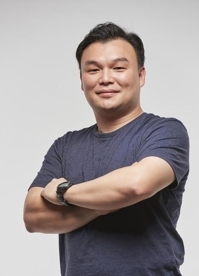 But in the future, this will change to focus more on what we have gained from the research, instead of judging such project based on success or failure," Sung added. The minister claimed that the rise of China, along with the global economic slowdown, posed challenges for Asia's fourth-largest economy. "By bringing innovation to the manufacturing segment, we plan to bolster added values of our major industries, and create new growth engines to revitalize the country's economy," he added. He then vowed to announce strategies to beef up the country's new growth engines, including state-of-the-art automobiles, system chips, parts, and fashion industries in the near future. 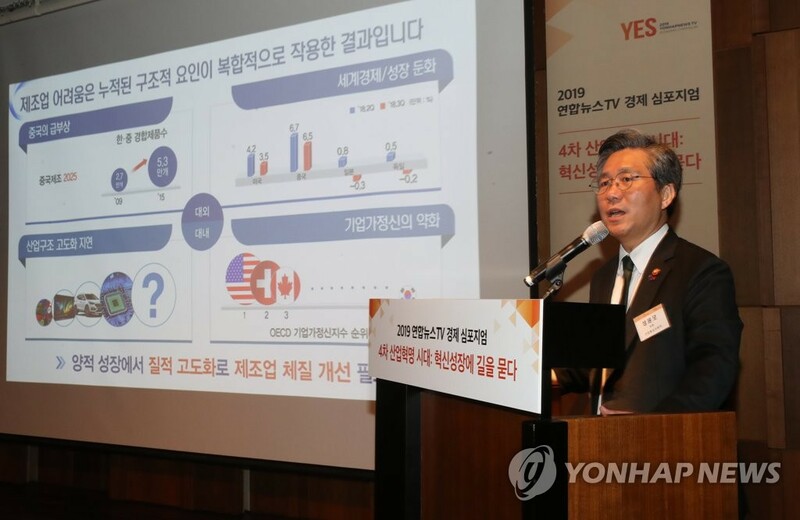 Cho Sung-boo, president and CEO of Yonhap News Agency and Yonhap TV, highlighted that South Korea should move more actively to prepare for upcoming changes in global industries. "We cannot guarantee our industries' future if we do not enthusiastically and actively lead the fourth industrial revolution," Cho said. "We should all pool our knowledge to overcome various anticipated hurdles, and successfully become a leader in the revolution." During the meeting, business officials claimed that South Korea should make more efforts to revise outdated laws to meet with changing environments. 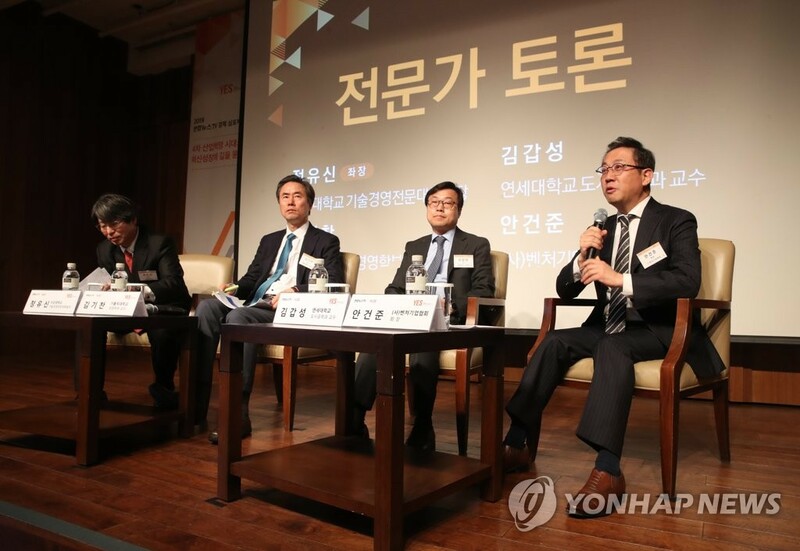 "The current legal systems do not fit the current economic situations and are too outdated," said Ahn Keon-joon, who heads the Korea Venture Business Association. "The government and the National Assembly should come up with more realistic legal systems for industries, and ease all regulations related to emerging industries, and later think of making new ones if there are problems," he added. Politicians at the gathering vowed to make more efforts to make the country a leading player in the fourth industrial revolution. "All entities from economic and social realms should combine knowledge and join forces on the national task of becoming a winner in the fourth industrial revolution," Rep. Hong Young-pyo, floor leader of the ruling Democratic Party, said. Rep. Na Kyung-won, the floor leader of the main opposition Liberty Korea Party, claimed that parliament will do its part to give more leeway to local businesses.